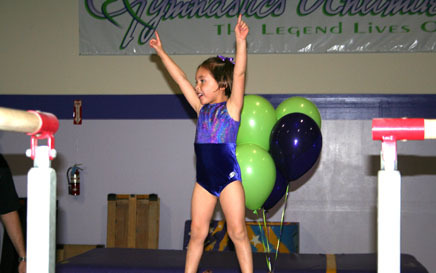 Originally founded in 1977, Gymnastics Unlimited is the oldest gym in the Santa Clarita Valley. Since 1984, the gym was owned and operated by Carol and Gabi Stabisevschi. This incredible pair had many accomplishments such as coaching both gold medalists Nadia Comaneci and Mary Lou Retton. Carol and Gabi are and always will be legends at Gymnastics Unlimited. As of November 2005, Carol and Gabi had decided to retire and they sold their business to Shelbyco, Inc.
To provide a safe, fun and positive environment while, promoting creativity, fitness and inspiring students to achieve their goals. This will enrich the lives of our students and the community through the excellence in gymnastics. We believe that if we teach children that they can achieve, they will remember the lessons for life. At Gymnastics Unlimited, you will also find coaches who are enthusiastic and teach with a positive attitude, helping to develop your child’s self-confidence and sense of achievement. 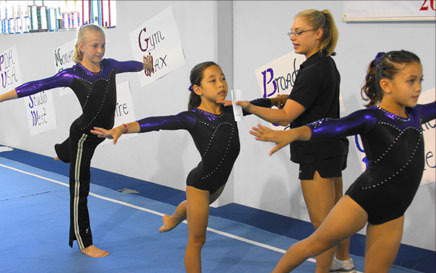 In addition to creating great gymnasts, gymnastic programs help children become better students and young adults. 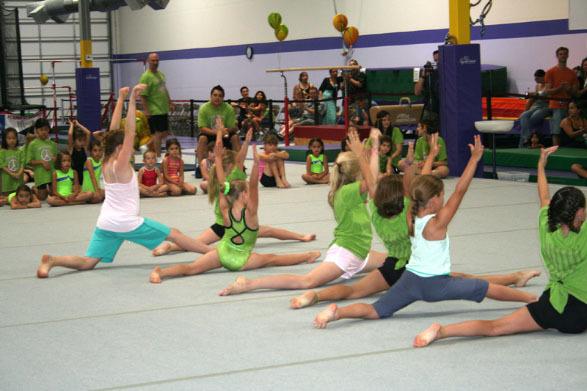 Please visit our Why Gymnastics page to learn about some of the many benefits of joining our programs. GU offers over 145 classes to meet your gymnastics, tumbling and Ninja Zone needs with flexibility to change your schedule at any time. Our competitive girl’s team competes in the USAIGC throughout California, Arizona and Nevada. The children always come first. We aim to develop in our students a positive self-esteem by instilling the values of good sportsmanship, self-discipline, respect and accountability. GU’s staff have a passion for both your kids and the sport. They embrace your kids and make them part of the GU family. Join us in mid-June to early August for our weekly summer camps from 9-1pm for girls and boys ages 5-11. No gymnastics experience is required. End of week routine, daily crafts, movies, open play and of course, gymnastics. 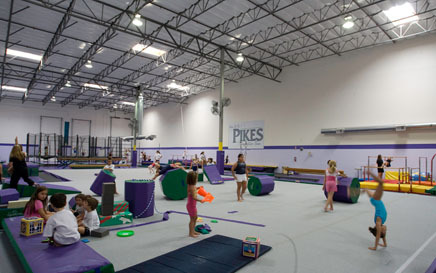 Enjoy exclusive use of our 15,000 square foot gymnastics facility for your child’s birthday party. Click through to Birthday party tab. Apply at GU today. We are always looking for qualified coaches.